Sometimes we view life in black and white terms – that there are people in the world who play the victim and others who overcome. We obviously hope we’re in the latter category, but here’s the thing: it’s not that simple. This is part of being human. We all find ourselves in victim mode once in a while, especially when life is hard. There is a time and place for throwing ourselves a pity party. The key is not getting stuck in that pattern. So, that’s our conversation today. How do we identify signs that we are in a victim mindset, and how can we shift to feeling empowered, strong and hopeful again? My guest today is Sarah Kolman. She has a health coaching practice that focuses on psychoneuroimmunology, the science of how our thoughts and emotions affect immune and autoimmune health. She has a master’s degree in contemplative psychotherapy, a bachelor’s degree in nursing, and is a certified AIP coach as well. She wrote an article on this topic, that was the inspiration for this podcast. Have you tried their acne serum? With just 4 ingredients, they have created a natural product that works without the use of synthetics, alcohol, peroxide, antibiotics, or anabolic steroids (all ingredients common to conventional acne products). This serum has 158 5-star reviews on the Luminance website from customers who swear by it. It's available in 3 sizes (1 ounce, 2 ounce, and 4 ounce), so you can start with the smallest size to see if it works for you. 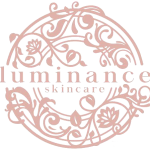 Luminance is a wonderful paleo skincare company. Their products are natural, organic, wildcrafted, non-GMO, and gluten-free. Whereas conventional skincare products are full of chemicals that can potentially harm our bodies, Luminance is made from ingredients that nourish. They have a complete face care and body care line, including cleansers, moisturizers, toner, acne serum, and more. They also offer sample kits of their most popular facial products: Delicate Cleanser, Rosewater Toner & Deep Hydration Moisturizer. 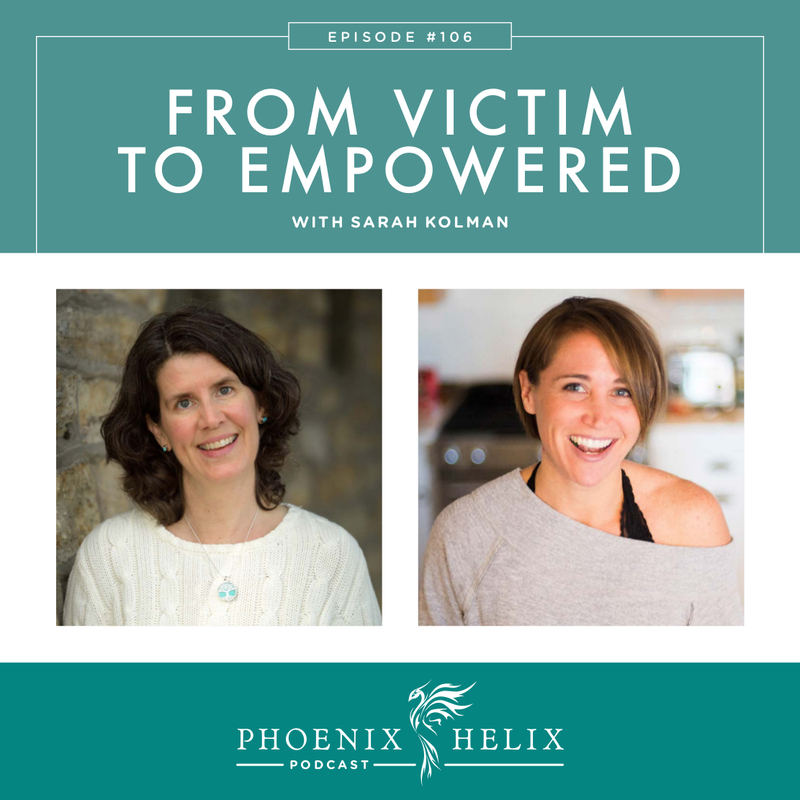 Sarah Kolman has a health coaching practice that focuses on psychoneuroimmunology, the science of how our thoughts and emotions affect immune and autoimmune health. She has a master’s degree in contemplative psychotherapy, a bachelor’s degree in nursing, and is a certified AIP coach as well. She worked for years as a hospice nurse, which had a huge impact on her personal and professional approach to life. She came to this work following her own health struggles. She developed body-wide chronic pain in high school with no known cause. This continued into college and become so extreme she was hospitalized. After multiple tests came back negative, she received the diagnosis of fibromyalgia and prescriptions for opioids and muscle relaxers. It wasn't until years later that she started discovering the root causes of her pain. Her first lifestyle intervention was giving up sugar and processed foods, and that reduced her inflammation so substantially that was she was able to stop taking painkillers. Then in graduate school, she learned meditation and mindfulness, which helped her see how her thoughts and emotions directly affected her stress, anxiety, and overall health. Training in emotional intelligence taught her techniques for shifting out of a stressed state, into a calm state that supports health. She practices these techniques on a daily basis now, and they've been transformative to her health. Over the years, she's also seen benefit from focusing on sleep, improving relationships, and all the lifestyle factors that impact health and wellbeing. Sarah has 3 children, and her middle child struggled with health issues for his first 2 years of life. He cried constantly, experienced night terrors and digestive trouble, and also hated physical touch (including the touch of water). She saw numerous doctors who told her she just needed to parent more effectively, or that he would outgrow it. It was finally a change in diet combined with treatment of a candida overgrowth that successfully treated his problems. Afterward, she felt like she met an entirely different son: one who has happy, calm, healthy, and content. Seeing the power of food as medicine inspired her to change her diet further and the diet of the rest of her family as well. Their diets are personalized to their individual food intolerances. Now, she has an integrative coaching practice that looks at all of these areas. Any time in life where we feel out of control, helpless and hopeless. It's a protective instinct. It's not a flaw in our character. And it manifests in many different ways: insecurity, unworthiness, fear, resentment, righteousness, entitlement, dishonesty, blame, shame, etc. (Here's the full list.) Its goal is to avoid pain, but unfortunately it's not very effective at achieving this goal. It shifts responsibility away from us, to something external we can't change, rather than the things that we can. The victim mindset is part of the human experience. We all go there sometimes. The first step is recognizing how it manifests for us, so we have the opportunity to shift out of it when we see it. The goal isn't to eliminate this mindset completely – that's impossible. The goal is to notice it more quickly, so we have the opportunity to make a different choice. How do you react when you feel overwhelmed? It will be different for every person. Some people withdraw, some take it out on others, some stay busy, etc. What are the feelings beneath that behavior, and the stories running through your mind that encourage this behavior? Natural sugars are allowed on the AIP in moderation, but if we overdo, it can become a roadblock to healing. 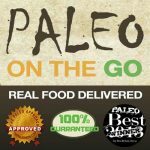 If you're interested in doing an AIP Sugar Detox, Paleo on the Go makes it easy with their Sugar Detox AIP Meal Bundle. It includes 10 full meals (main course and side dish), 1 soup, 1 bone broth, and 1 pack of sugar-free bacon. There are no added sugars in any recipes used in the pack. If the victim mindset is that life is happening to us, the empowered mindset is that life is happening for us. While we can't always change the events that happen in our lives, we do have power over our response to those events. This is where we can become our best selves. It's not a superhero mindset. It's a soft strength that makes room for vulnerability, imperfection, and compassion for ourselves and others. What is the opportunity here for me? 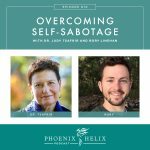 When something challenging happens that shifts us into a victim mindset – whether an autoimmune flare, a fight with someone we love, or another stressful situation, this question can be a gateway out of the victim mindset and into an empowered mindset instead. What are the lessons? What are my body's messages? What empowered qualities can I practice here? Pushing through isn't the same thing as empowerment. Many of us were taught as children that ignoring our distress, never complaining, and focusing on productivity, was a sign of strength and worthiness. Unfortunately this is a pattern that keeps our body in a chronically stressed state that worsens autoimmune symptoms and interferes with healing. Chronic stress negatively impacts every system in our body: our immune system, brain function, digestion, adrenals, endocrine system, etc. Our bodies need rest in order to heal. Self-compassion is a powerful practice for empowerment. It can be counter-intuitive, but being gentle with ourselves leads to feeling stronger. Self-blame and shame are another face of the victim mindset – believing everything is our fault, we constantly mess up, and aren't capable of change. Self-compassion is a practice that helps us shift out of this and into a belief in our own worth and capability. The victim mindset is correlated with the stress response, and the empowered mindset is correlated with the healing parasympathetic response. The stress response puts our immune system into a chronically heightened state, which is a recipe for autoimmune activity. It also suppresses digestion and other functions that are considered “non-vital” when we are faced with acute danger (which is the evolutionary purpose of the stress response). The parasympathetic response is the “rest and digest” nervous system. It supports our body's healing and regenerative ability, including healthy digestion and a balanced immune system. This is the state we want to be in most of the time. If you catch yourself in a victim mindset and tune into your body, you can feel the tension and distress this state causes. The empowered mindset has the opposite effect – it elicits a relaxation response. Start at the End: Picture reviewing your life from your deathbed. What would be the most important things you? How do you want to be remembered? In Sarah's hospice experience, rarely did patients focus on what they accomplished. They cared more about who they were, how they lived their lives, and how that impacted themselves and others. This can be a powerful, clarifying exercise that acts as a guidepost in daily life. Blue Strip: In Sarah's house, she has a blue strip at the bottom and top of her stairs. It's a reminder to ask herself: “Who am I inside right now? Is this who I want to be?” If she's in a victim mindset, by the time she reaches the second blue strip, her goal is to shift into an empowered mindset instead. The empowered mindset takes practice. It's not about perfectionism. The goal is to increase it in our lives, while also being gentle with ourselves through the process. Resource: Change the Channel. Step 1: Consciously identify how past trauma impacts your default mindset. What limiting beliefs rose from that event/events? What stories do you tell yourself about what happened and how that impacts who you are today? Step 2: Practice the techniques mentioned above to help transform that mindset. Step 3: Trauma often impacts the physical body unconsciously, and mindset techniques might not be enough on their own. Somatic therapies can help release unconscious trauma that we hold physically and energetically in our bodies. Resource podcasts: Ep. 41: EFT and Ep. 104: DNRS. Step 4: There are also counselors who specialize in trauma. Resource podcast: Ep. 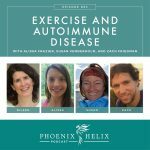 108: Trauma & Autoimmunity. You can follow Sarah's work through her website This One Life. She works 1:1 with people around the world, through a 6-month program that focuses on all aspects of health: nutrition, sleep, movement, mindset, stress management, relationships, etc. She offers a free 15-minute consultation. She also writes for Autoimmune Wellness.